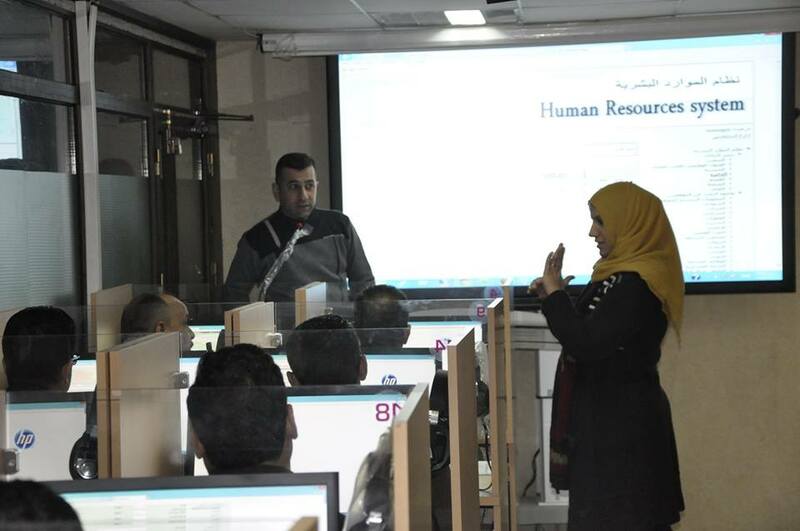 University of Information Technology and Communications Organized a Training Course on the Human Resources System Cooperating with the Ministry's Center. 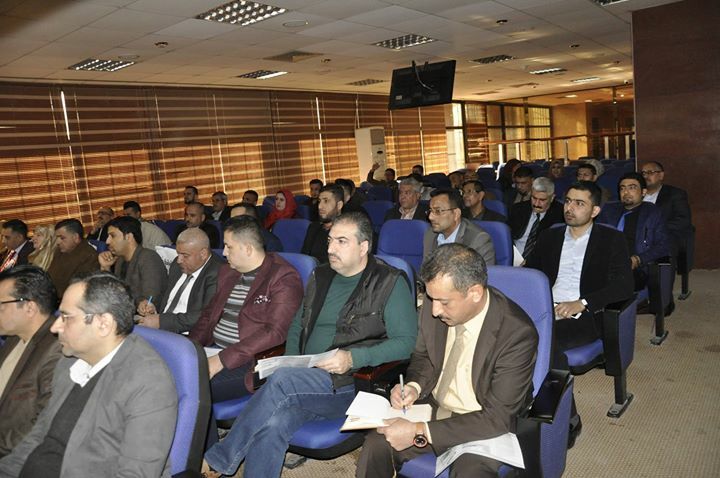 The UOITC and in cooperating with the Department of Management in the Ministry of Education, organized a training course on the human resources system with attending a large number of directors of the administrative departments and human resources of the Iraqi universities and the ministry's center. 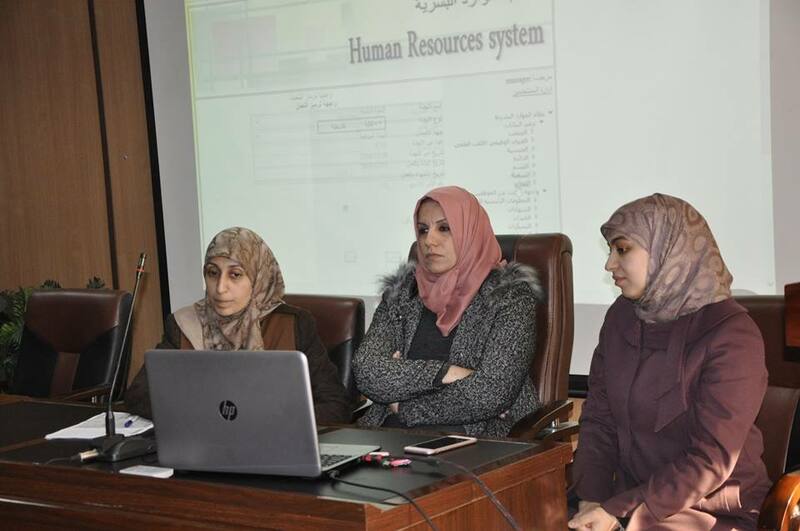 The responsible committee presented the interfaces of human resources system, which was designed by a team of specialists from the university and from the Information Technology Center of ICCI. The system was tested by applying the quality standards, which aims to document the information about the employees and how to manage and organize their data, the system provides the possibility of searching, retrieving, adding data, calculating holidays and other information. The system is characterized by the ability of it is working on a personal computer or on a network, which makes it contributes in serving of all sectors, including universities and institutes, and provides flexibility and security in dealing with data because it was designed by using SQL server database. The system is updated continuously at any time by the user depending on the notifications delivered by the system after each activity. The training course was organized over two days to review the system in a theoretical and practical way. The university will provide the beneficiaries who attended the course with a trial copy after that the agreement will be based on the response of the system to meet the needs of the beneficiaries. It is worth mentioning, the system was used by the Iraqi Council for Medical Specializations, the Ministry of Tourism, the ICCI, the UOITC and also was installed to one of the popular mobilization forces with free of cost. The Human Resources System is one of four university systems selected by a specialized ministerial committee to be used and applied in Iraqi universities based on the instructions of the minister of the ministry of higher education and scientific research.